It is a simple and low cost solution. Put small boosters on asteroids with the needed materials, and set a trajectory that will cause them to impact Mars. This brings the needed gases to increase the atmospheric volume, as well as the chemicals needed for Terra forming. If comets can be used also, then that is for the better. The second advantage is that this will increase the mass of Mars which will help to hold the atmosphere. and possibly jump start a magnetic field. How many years must it take before science “bloggers” get the fact that you can’t terraform a planet with a liquid core. No matter what gases or minerals the planet has. The terraformed atmosphere would just evaporate into space after a few weeks. What are you high on? Either it is a horse or some chemical, just stop it. Get some help. And what is the connection between a liquid core and terraforming? Why it is a fact? Where is the theory of terraforming? Who got a Nobel Prize for it? And why would evaporate into space after such sort time? And if the terraforming process would take years, centuries or millennia, why would the evaporating wait for it to be completed to abruptly reverse it? Oh, I solved it. You just have to continuously terraform the planet, and be careful not to stop it for even a day enough to suddenly undo thousand of years of work, you know, like carefully planning maintenance stops between the terraforming machines, to keep at least one running all the time! Hope we’ve heard the last of it. It’s tedious to have to address how stupid this “idea” is. We can’t even terraform Earth and we’re right here. We can’t make the average temperature of the Earth go down one degree, and our future depends on it. Actually, that’s exactly what we’re doing to Earth. We’re terraforming it by putting tons of CO2 into the air and triggering a greenhouse effect, which is having the effect of changing its ecology and weather patterns. 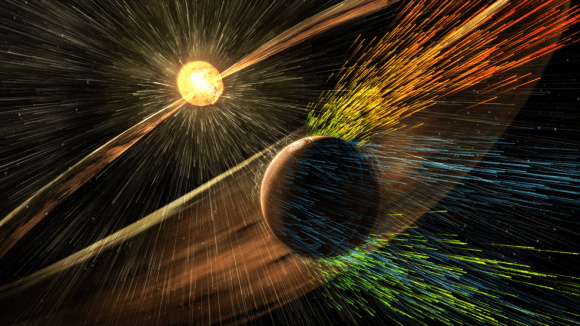 Applied to Mars, that same process would make the planet warmer, wetter, and more habitable. 1) It will be very hard to get enough CO2 to warm the planet. And even if we manage to do that, the concentration of CO2 will be so high that it would be prohibitive for most earthly life, i.e. it would not be real terraforming. 2) The biggest problem may be to get enough of an inert gas, on Earth nitrogen, N2. Most earthly life cannot live in a pure O2/CO2 atmosphere. Sigh, the gods haven’t made things easy for us: we do not have a second proper earth analogue in our solar system, not even a biocompatible or easily terraformable one. And we are not part of a binary system with the other star also having an earthlike planet. 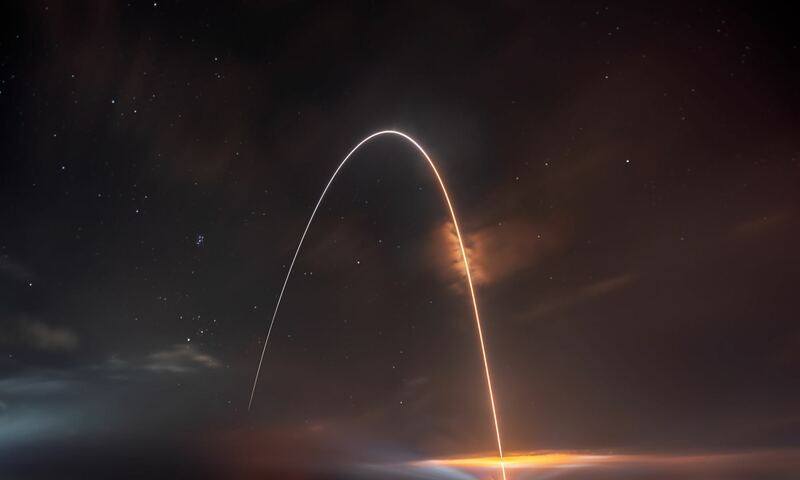 If one or both of these had been the case, this would have been an immense incentive for space travel since the ancient Greeks or at the latest the Renaissance, and we would probably already have established a presence there. Item 2 has actually been addressed in theoretical studies. Basically, scientists called for the importing of ammonia ices to help bolster a greenhouse effect, and then breaking the ammonia down into nitrogen gas. This can be done using terrestrial bacteria, specifically by Nitrosomonas(which convert ammonia in nitrites and nitrates) and Pseudomonas and Clostridium (which convert nitrates to nitrogen gas). Ok! So, scientific study has confirmed that there, indeed, isn’t nearly enough N on Mars. Ok then, let’s make a simple calculation: assuming 80% of the atmosphere as N2 and atmospheric pressure earthlike (1 atm. ), and Mars having a surface area of 28.4% of earth, then we will need approx. 1.2 * 10^15 tonnes of N2 (or 1200 trillion tonnes). That’s an awful lot of N to import. 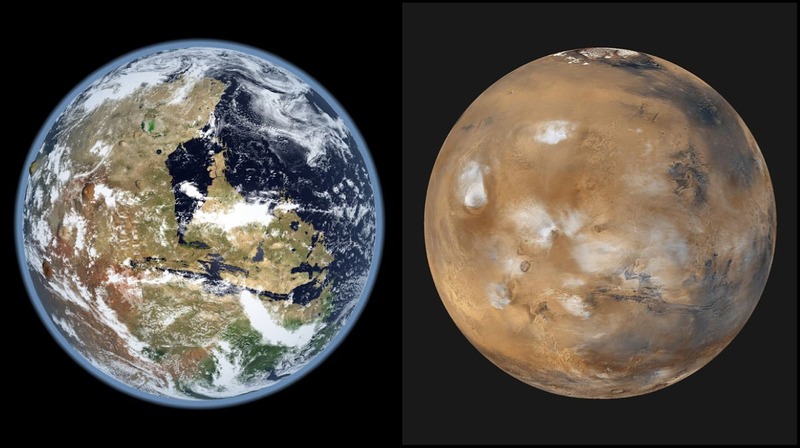 Hypothetical curiosity: if terraforming Mars were actually possible, how long would it take for the effects of imposed changes to result in a “green” Mars? Good question. I would estimate about 1000 years, and that’s a conservative guess. But since this would be a long-term plan, one which would be based on the idea that Earth might not be around forever, that doesn’t seem like too long a wait, right? 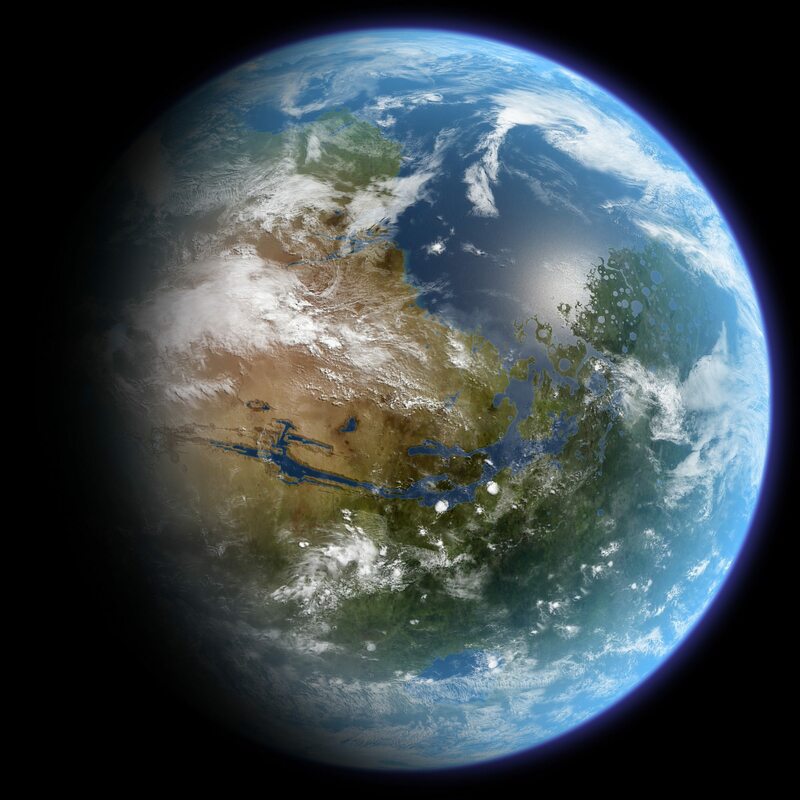 There may not be enough local materials to make this a green planet with a warm atmosphere but there is nothing in the latest details to stop us from having colonies on Mars and supporting some population and life there (people would just be living in greenhouses or whatever instead of running around the surface without a spacesuit). Colonization is still a very possible and (remotely) probable thing.